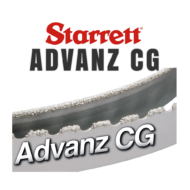 Designed to cut die steels, mold steels, stainless steels, and tools steels. * Speeds up to 15,000 SFPM. 0 Frac. of Inch	1/4 Inch	1/2 Inch	3/4 Inch Frac. of In. The L.S. 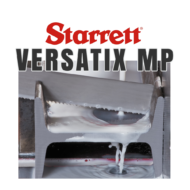 Starrett Company, founded in 1880, holds their employees to the highest standards & quality workmanship. 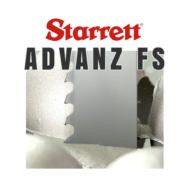 Although known for their precision tools, Starrett is also a worldwide manufacturer of saw blades. 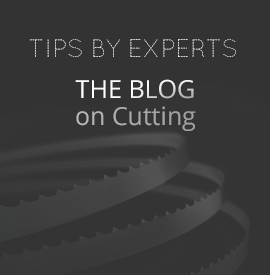 Their main focus is on providing every customer with a top quality blade. 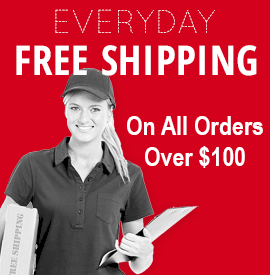 "You can count on Starrett for full value." 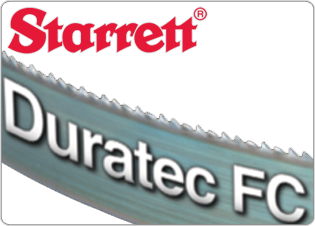 Starrett designed the Duratec FC band saw blade of a fatigue resistant material with a high silicon-content alloy. 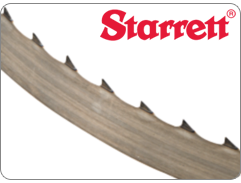 This blade has a special tooth set to handle friction heat and a combination of fully hardened teeth with a tempered back. 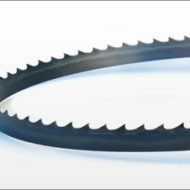 BandSawBladesKing.com is your online resource to get premium blades at great prices. Our welds are factory certified and guaranteed! 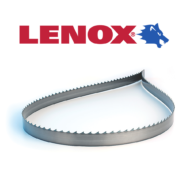 We offer only high-end brands such as Lenox, Simonds, & Starrett.